"A big thank you! 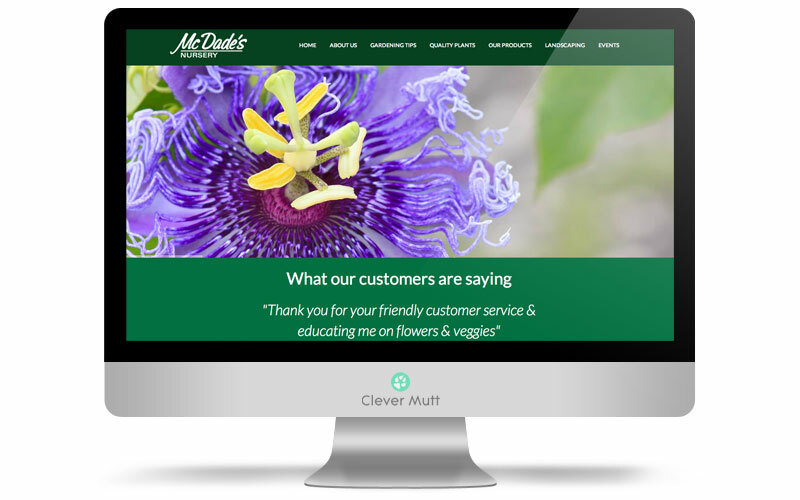 I would really like to thank you for your help and support"
McDade's Nursery hired Clever Mutt™ to provide a fresh mobile responsive website, onsite photography, email marketing services and social media marketing consultancy. 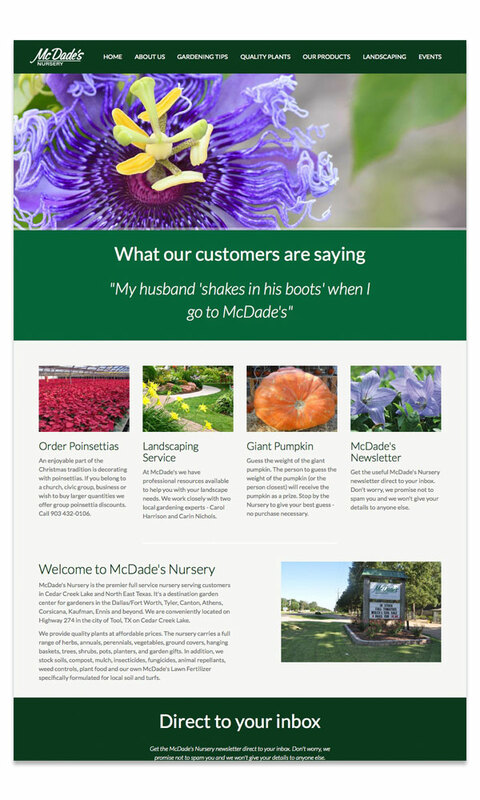 McDade's Nursery is the premier full service nursery serving customers in Cedar Creek Lake and East Texas. 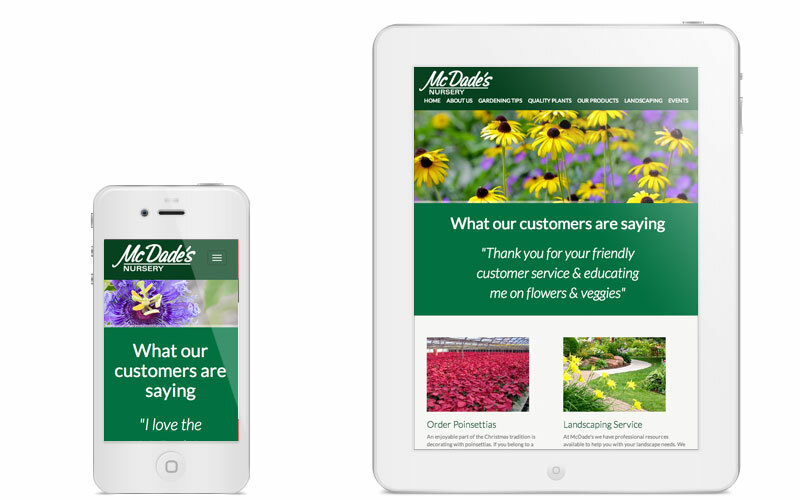 It's a destination garden center for gardeners in the Dallas, Fort Worth, Tyler, Canton, Athens, Corsicana, Kaufman, Malakoff, Chandler, Ennis and beyond. We are conveniently located on Highway 274 in the city of Tool, TX on Cedar Creek Lake.